The leftist State Attorney's Office has defeat elected leaders in the matter of Migron. The left-leaning State Attorney's Office (SAO) and Attorney General's Office have defeated Israel's elected leaders in the matter of Migron, a community in the Binyamin region north of Jerusalem. The state's response to the High Court motion filed by residents of Migron will determine that they must be evicted from their land. This recommendation was made despite the fact that residents have recently purchased the land that their homes stand upon. "Accepting the petitioners' request to allow them to continue living on these plots," the state will say, "means doing daily harm to the private property of a Palestinian in the outpost of Migron and its vicinity." The SAO's apparently objects to Migron residents' remaining on their land because a path that leads to it passes within Arab property. 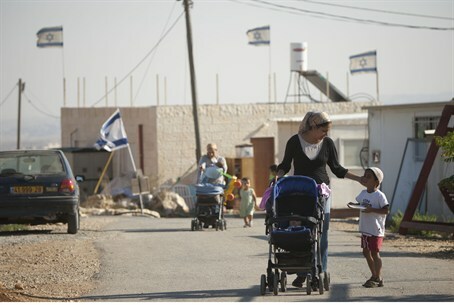 Migron residents reacted to the news Monday, saying that "The High Court judges stand before a difficult decision: should we adopt a government decision wishing to leave standing a community that has been paid for, or do we cross over to the SAO's side and drag the government of Israel into a forcible eviction of loyal and upstanding citizens and evict an entire community because of a little path."